Small business owners often think about growth as the season of summer approaches. It is often inevitable that a loan is needed to inject additional funds into the business for the sake of growth and expansion. However, most loan applications are foreign territory for small businesses and are often seen as a liability, particularly if interest rates are high and a firm does not have a clear repayment plan. Yet it is crucial to understand how to go about securing a successful loan to avoid falling into a spiral of bad debt that can harm your cash flow cycle. You may be wondering, “But where do I begin?” and the first step is to identify the need for a business loan. According to the Small Business NSW website, run by the New South Wales Government’s Trade and Investment arm, you should think about how much you need to borrow, the type of loan needed and the time period the loan is needed for. You should also consider how much you could afford to pay and whether you are prepared to pay for one-off or ongoing fees as well as interest. After identifying the need for a business loan, there are five steps you should consider before approaching a specialised business finance broker. First and foremost, a loan proposal must match up with your goals for the business, both short and long-term. This means you must consider which type of commercial loan you need and how it will aid in the growth or operation of your business – whether it is the purchase of new equipment or increased working capital. The plan should also identify the operations and history of the business, industry information, ownership details, historical financial information as well as forecasts. According to the Australian Bankers’ Association (ABA), it is important when preparing the application to not mistake cash flow for profit as banks and other credit providers only consider net profit, not revenue from sales or services. You should also provide clear and concise information about the directors of your business, as the bank will assess this and you may be asked for guarantees if required. A two-year cash flow forecast is also very important. 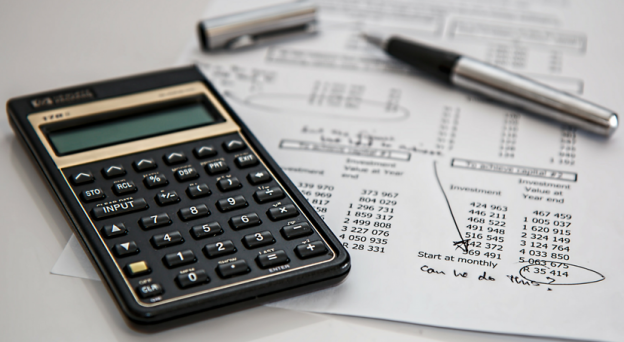 The lender will need to be satisfied that you have a good grasp of the numbers, and that there is enough profit to repay the bank’s interests costs. Most banks have a minimum criterion in this respect call interest cover multiple. So, for example, they might insist on at least 1.5 times interest cover. So if the interest costs were $50K they would need to see a net profit of at least $75K. The ABA also notes that you should ask for the exact amount you need – no more and no less. Asking for less or more than required results in one of two outcomes: the need to revisit the bank and ask for an additional loan, or the rejection of your application. Requesting for an overly large loan can result in a rejected application as loan decisions are based on formulas that determine how much a business can afford to borrow and thus you will be required to show proof of making payment deadlines that will fit into the bank’s equation. Dun & Bradstreet’s Trade Payments Analysis revealed that for the September quarter, small businesses (1 to 20 employees) took around 52 days to pay their company accounts as compared to firms with 50 to 199 staff members, which took three days less to pay their accounts. This was significantly longer than the standard 30-day repayment period and is a clear example of the consequences of not repaying on time. It is of the utmost importance to assess the capabilities of your business for growth against company and industry forecasts. By doing this, you can determine how a loan will work in line with this trend and how its application can aid your loan repayments. As different lenders will have a suite of different loans on offer, shopping around will allow you to match up the needs of your business to the right loan products. The variety of loans on offer makes it difficult to identify the perfect product for your business. It is highly recommended that you familiarise yourself with the products that are offered by different financial institutions (including covenants) and any additional fees. The breadth of loan services coupled with the complexity of loan applications makes it worthwhile to use the services of specialised business finance brokers as well as government or non-government organisations such as AusIndustry. Seeking advice from someone who is familiar with the loan process or has undergone it previously will also allow you to closely analyse the appropriateness of the loan products in relation to your business needs. No matter how well you prepare for your application and interview process, sometimes lenders will say no. Obtaining credit, particularly as a first-time borrower, can be a difficult process. Ensure that you check your company’s credit report beforehand to ensure your records are clean and that you are being accurately portrayed to creditors and business customers. You can receive a copy and update your credit file with Dun & Bradstreet’s free service here. A comprehensive D&B credit profile can ensure your business has the ability to secure better interest rates and credit terms from banks and lending institutions. Finn Lending Solutions is a group of finance experts that have access to a competitive range of loan solutions. As full members of the MFAA and with experience across Australia’s loan marketplace, we are in a unique position to help you analyse and compare different loan options and choose the loan that is right for you. We excel in helping clients buy franchises or independent businesses and are always striving to ensure your individual needs are met. First and foremost, Finn Lending Solutions values integrity and respect. Our goal is to earn our clients’ business by insuring that we treat every client the way we would our closest family member. We believe that by offering a wide variety of loan options and considering your needs as the most important factor, we will provide the best service available in the industry and earn your business the old fashioned way – through results that make customers happy.We’ve structured our business to prevent and avoid favouritism to any institution by not allowing incentives, so that our clients can be sure that they are getting the most advantageous loan available for them. Finn Lending Solutions always offers transparency and fairness and value the relationships that we build with our clients. Excellence – We set expectations of excellence throughout the Finn Lending Solutions team in order to best serve our clients. Results – We all contribute to achieving consistently high results through our lending services and investment performance that directly affect the lives of our customers. Service – When dealing with our customers and each other, our commitment to service sets us apart. Integrity and Respect – To build trust and ensure transparency, we communicate openly and treat our customers, stakeholders and each other with integrity and respect.